Albuquerque VA Medical Center. UNM Dept of Psychiatry. 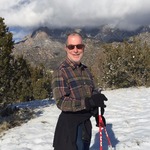 Psychiatrist, long career on multiple Native reservations and now with the Albuquerque VA, caring for addictions. Student of mitochondria and dietary ketosis. Good luck! Happy to contribute again, now & in the future. Really hope you can keep your team together and extend knowledge in this area. And a related matter, see also https://www.ncbi.nlm.nih.gov/pmc/articles/PMC4983076/#!po=98.3871 This is a VA study, "Modified Atkins diet in advanced malignancies - final results of a safety and feasibility trial within the Veterans Affairs Pittsburgh Healthcare System", following 17 human patients with advanced malignancies, on a KD for at least 16 weeks, extended out to 121 weeks in one case. Really appreciate the detailed response. Really appreciate the detailed responses. ACA & BHB are a redox couple. so? Perfuse the cell cultures w/ ketone bodies separately & also in varying proportions from oxidized to reduced. In western diets, high fed-state reduction pressure is likely a common systemic milieau. Good luck, may this proceed as planned. BTW, http://www.ncbi.nlm.nih.gov/pubmed/26990457 is interesting. LAC/HCO3 in a tumor model, with MRS used to show in vivo a shift from glycolytic toward ox phos metabolism under a anti-angiogenic therapy.